Mile Hi Barrel Horse Association, of Arvada, Colorado, is home of the world-record full standard pattern barrel race run by two-time World Champion Brittany Pozzi Tonozzi and her horse Kisskiss Bangbang with 16.479 on September 25, 2015. Though that wasn't even Mile Hi's biggest accomplishment from last year. 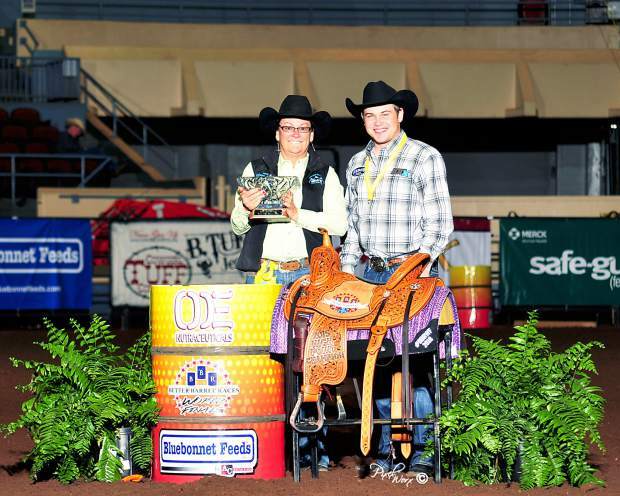 They received Better Barrel Races 2015 Producer of the Year. 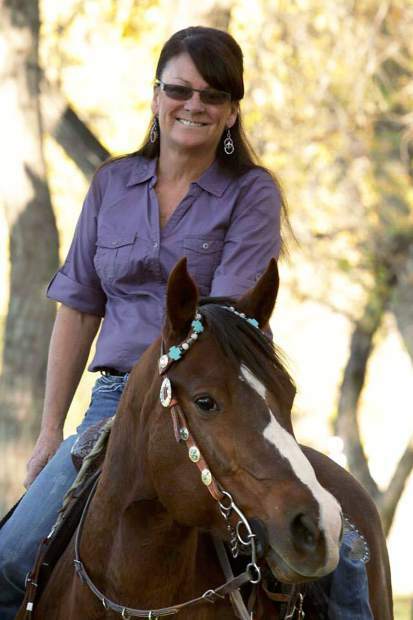 "It set me back for a minute," said Carol Crowder, Founder of Mile Hi Barrel Horse. "I saw it in the BBR Finals Program and you know how your eyes just kind of look, it took a second for me to take it in, but I thought 'That's us!' Really it's not me, it takes a crew to pull off these events. It's the team of people who makes up Mile Hi and makes it successful." Better Barrel Races bases its selection on a variety of criteria: number of memberships obtained, number of shows produced, quality of shows based on added money, venue, attendance, timeliness of receiving approval applications and submission of event results, and number of years working with Better Barrel Races, said Robin Hofman, BBR and Select Stallion Stakes Co-Founder. "Mile Hi Barrel Horse has been an independent producer with BBR Sanctioning since BBR began. Mile Hi puts on outstanding events that are well-run and promote barrel racing in a positive manner. We have enjoyed a wonderful working relationship with them and we look forward to many more!" Mile Hi was born in November 2003 by Crowder, a life-long barrel racer, with the goal to produce family-friendly barrel races yet maintain the competitive aspect. "I started with the idea that we can compete against one another but all be friends outside of it," Crowder said, "I really emphasize a family-fun environment where we can still be competitive." "My mom has a true love of all things barrel racing. 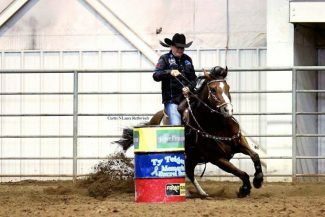 She has really found her true passion in barrel racing and producing quality races is where her talent and passion have met," said Lexie Ashurst, Crowder's daughter. "She has a get-it-done type of personality and producing races is a natural fit for her talents and her passion," said Ashurst, who competes at Mile Hi events and also works on the crew. She spends an incredible amount of time working on Mile Hi productions. There is a lot of work that goes into creating the flyers and entry forms, advertising, maintaining the website, sourcing awards, negotiating with sponsors, scheduling facilities, coordinating with her staff, calculating the standings and working with the members. All of that happens BEFORE she even arrives at a facility to produce a race." Since its creation the association has grown and evolved. "The first year, we had 83 members. Now I'm in my 14th year, and we have over 300 members. Members come and go; 99 percent of membership are female. So it's typical things that women go through – go to college, get married, or have kids and they circle back around. We often have three generations of people running at a given barrel race," Crowder said. Mile Hi received Producer of the Year in 2013 from a slightly smaller, but still national, group Bonus Races Finals Association. Beginning in September 2013, Mile Hi has produced the three inaugural qualifying barrel races for The American and are awaiting announcement to see if they will again host this year's qualifier at their Finals. "The other goal that I had when I started was to have a phenomenal finals within Colorado," Crowder said. "Before Mile Hi, barrel racers had to travel clear to Nevada or Georgia for finals; Colorado didn't have a big one. Our finals in September is the largest barrel race ever in Colorado and each year it gets bigger. It is also the qualifier for The American. 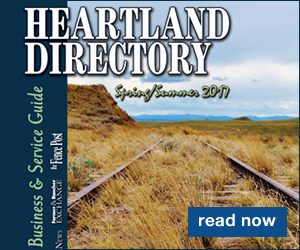 We had nearly 1,800 entries over the course of three days last year." "Even if a barrel racer is not a member of Mile Hi,which is crazy based on the prizes awarded to our members, having the kind of quality races in this region is a win for anyone wanting to compete but also is great for those who are trying to make their living training or raising barrel horse," Ashurst said. "The competition at our races is really second to none in this region. Some of the best horses reside right here in Colorado and Wyoming and some others travel in from other parts of the country to compete at our largest races." "We really are a meaningful, well-sized organization in the cold weather area of the country," Crowder said. "If you take us to Texas, we're small, but within Colorado, Nebraska, the Dakotas, and Wyoming, the cold weather country, it's hard to keep horses in shape, hard to travel, but we pull people all year round, not all of them but a good group." Crowder produces barrel racing events with categories to encourage youth and adult beginners. "One of the other things I'm really proud of is watching a lot of kids and beginners come up within Mile Hi," Crowder said. "Ivy Conrado and her sister Paige Conrado competed as youngsters. Both Christine Laughlin and Christy Loflin did not grow up in Mile Hi but have supported it over the years. A significant amount of people in the Mountain State Circuit came up through Mile Hi and went on to rodeo." "She truly loves the people, not just the barrel racers but also their families," Ashurst said. "She is always referring to her Mile Hi Family and I know that she most definitely sees them as her family. She cares deeply about the barrel racers and tries very hard to be accommodating to all. 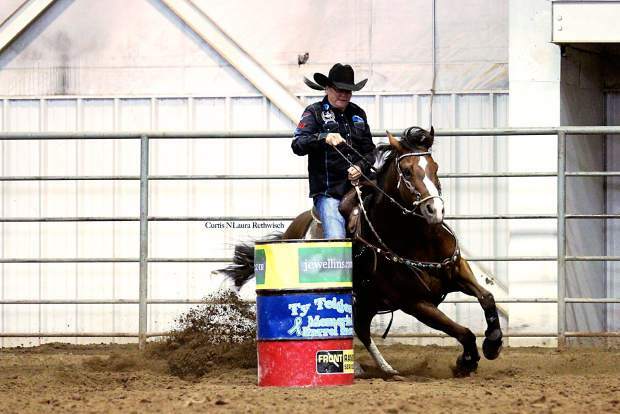 She has created numerous classes for young kids (Novice, Youth, and Juniors) and also a class for the older group who is just getting started barrel racing (Greenhorn) because she wants to see other succeed and love barrel racing. I do not know of another association that offers as many classes as Mile Hi, with nine classes with a total of 19 divisions and gives approximately 70 year-end awards packages. This is all 100 percent due to Mom." In addition to Crowder's Mile Hi Family, her family is an integral part of Mile Hi. "My sister Cathi Hadley is one of the top barrel horse clinicians and we offer four clinics a year. My daughter Lexie travels from Wyoming to work several events each year. My son Cole and his and Lexie's dad Royce produce the finest horse hay," Crowder said. No rest for the weary: Mile Hi averages two weekends of barrel races each month, with each weekend day being an event all its own, amounting to 48 to 50 events. The events generally are cutting edge or testing waters. "Mile Hi has been instrumental in introducing slot races to Colorado, two new facilities built here," Crowder said. "We are known as the leader in barrel racing innovation; we test and try and introduce and kick out and adapt. We use barrel wraps instead of barrel covers where we can sell sponsors; which we helped introduce to the industry. Now Barrel Wraps are the standard." "The setup for the large races such as the Gene Ellis Memorial, The Formula 707 Memorial Weekend Challenge, the Colorado Classic and our largest race of the year The Mile Hi Finals in September takes an average one and half days before any contestants arrive," Ashurst said. 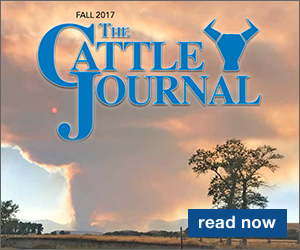 "It takes a long time to hang stall cards, do RV assignments, hang the banners, set up the office, display the awards and have as much information as possible printed and ready for contestants." "This is the kickoff to our summer barrel racing season," Crowder said. "For most, school is out and the entire family can come. We will probably have a total of 1,000 runs over three days, a slot race that is limited to 50 entries running for $15,000. The race has an added $5,000 in cash and awards up for grabs, and payout will be more than $25,000." As the old saying goes, "It's not work if you love it!" Crowder has found her passion and said she enjoys every minute of it.